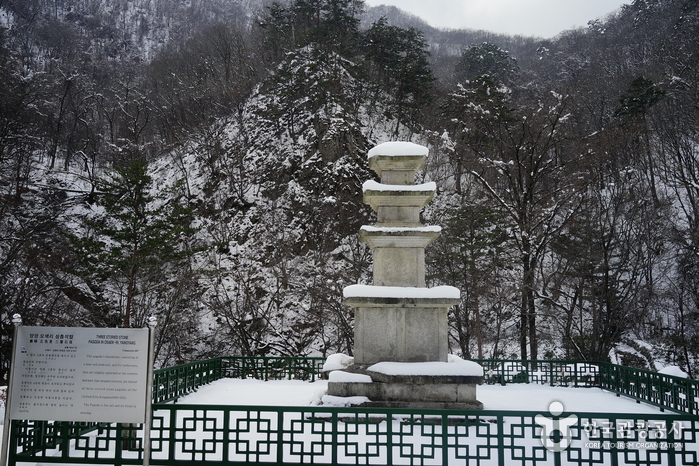 About 3 kilometers from Osaek Mineral Spring in South Seorak, the road splits, and you can take a trail to Yongsopokpo Falls and Sibipokpo (Twelve) Falls. 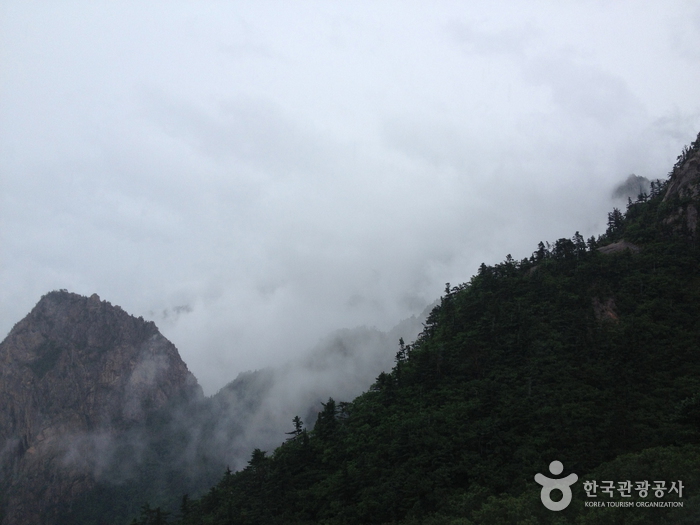 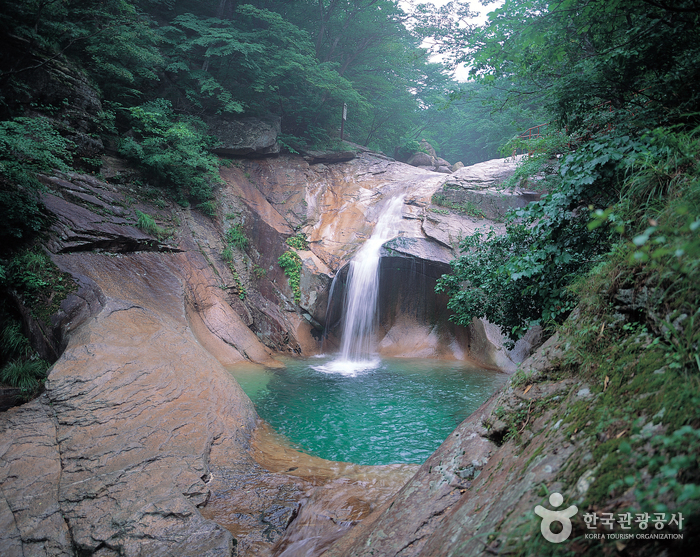 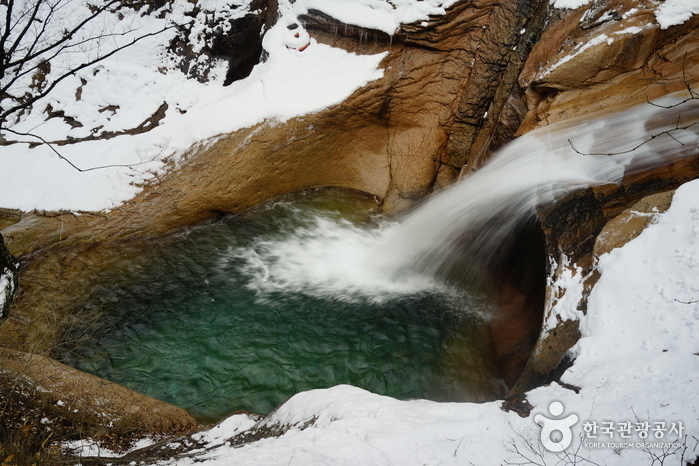 Jujeongol Valley is the name of the valley that meanders up to Sibipokpo Falls. 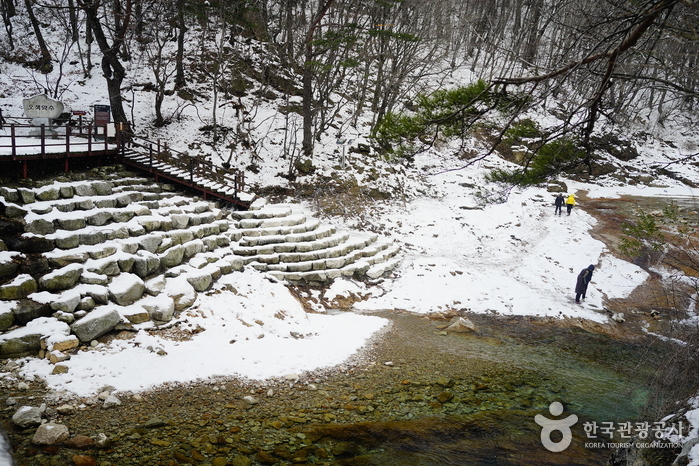 As you hike along this delightful path you encounter Seonnyeotang Pond, Dokjuam Rock, and Yongsopokpo Falls, and the Second Osaek Mineral Spring is a refreshing treat for thirsty hikers. 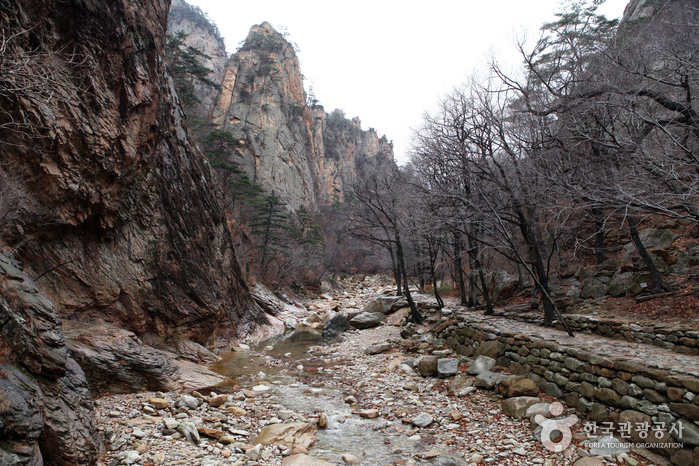 The path is relatively smooth and can be enjoyed by hikers of all abilities. 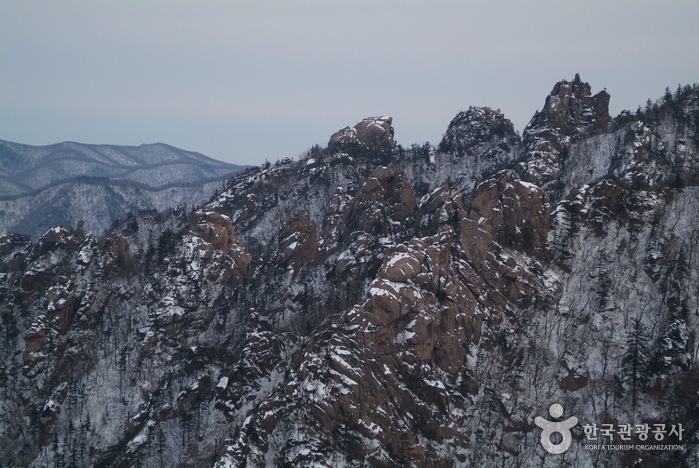 The hiking routes in South Seorak are open from 04:00-14:00 in winter and from 03:00-15:00 in summer. 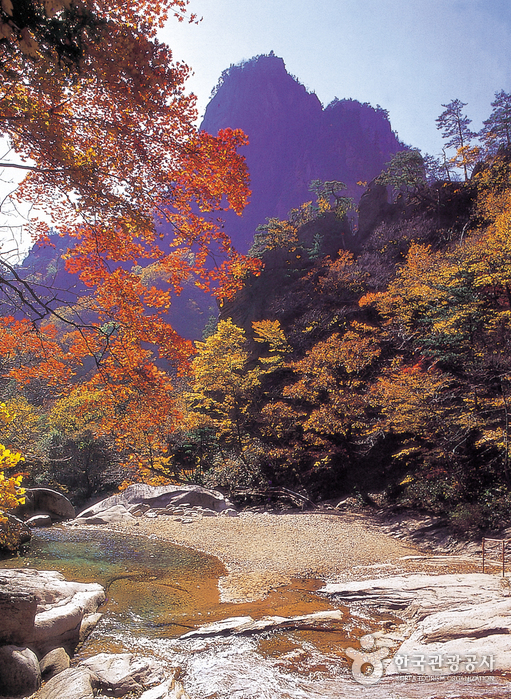 From Dong Seoul Bus Terminal, take an intercity bus to Osaek.